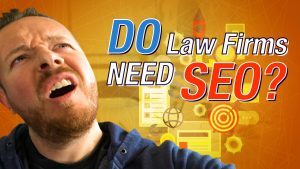 I’m going to teach you the three secrets to getting more law clients from social media. Here’ a little bit of info about me. I own a marketing agency called Social Firestarter, and I’ve been working with lawyers since 2012. Currently, I have about 50 law firms that I work with nationwide. If you go to my website, socialfirestarter.com, you’ll be able to see some testimonials from some of my clients. If you click at the top, there’s a link that says testimonials, where I’ve got about 20-25 videos from clients that I’ve worked with. 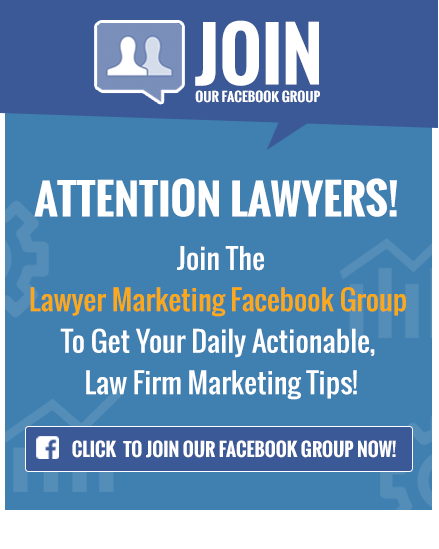 Why Should Lawyers Use Social Media To Get More Clients? So, why this strategy? Well, the reality is, is that marketing is always evolving. If you remember, there was a time when attorneys weren’t even allowed to have websites. Instead, a lot of attorneys were advertising in the phone book and making a lot of money just by running yellow pages ads. Of course, phone books are pretty much dead now, so then people started using websites which is a great strategy. I have a lot of clients that we do SEO and PPC for, and they get a lot of leads that way, but the reality is, is that social media is the next thing. What’s interesting about social media is that social media is a tool that you can use to brand yourself. This strategy is not a social media strategy, it’s a branding strategy that uses social media, and that’s a big difference because the concepts that are taught in this course are not susceptible to algorithm updates. What I mean by that is I can teach you how to build a website, how to do SEO, but the second Google changes their algorithm, you have to relearn everything. This is the same with social media. If you build up a following on Facebook or Twitter, the issue is that you’re basically at Mark Zuckerberg’s mercy. If he decides, like he recently did, that brands or businesses are no longer going to get reach in the newsfeed on Facebook, then you’re kind of screwed. How Is This Strategy Different From Others? With this strategy, I am going to teach you how to market yourself using social media, but in a way that is not susceptible to algorithm updates, because you’re using social media as a tool, but it’s not a social media strategy, and that’s what you’re going to learn. The other nice part about this strategy is that there is virtually no competition and I say virtually, because there are a few attorneys doing this, but in 99% of the markets that I see, no one is doing this. So, you’ll be the only attorney using this strategy. I’ve heard a lot of people say that social media doesn’t work, that they’ve tried Facebook and other social media platforms, but it just doesn’t work. The truth is social media works if you know how to use it, and to prove that point I want to introduce you to Renee Reese. I recently did an interview with Renee, and Renee has a fascinating story. She started her law firm while she was sleeping on her friend’s couch, and six months later she’s making six figures. How did she do it? 100% by social media, using common sense methods that I’m going to teach you. Now, the difference between what I’m going to show you and what Renee did is that Renee did all the work herself. What I’m going to teach you is how to set this entire system up and automate it so that you don’t have to do any extra work. 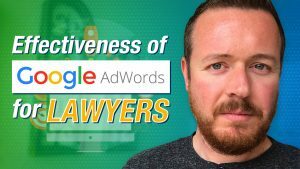 If you’re interested in learning more about Renee’s story and how she grew her business using social media, just check out the interview that I did with her on my Esteemed Lawyers of America YouTube channel. 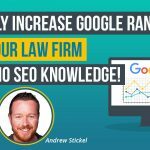 So, what are the three secrets to getting more law clients from social media? 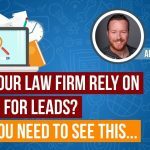 Secret number one, how to get law clients using a single social media post. Secret number two, why this specific type of ad works when all others fail, and secret number three, how to set this entire system up in two hours flat. Before we start, I want to talk to you about the old way of posting. This is probably the method that you’ve used many times before and it hasn’t worked. In the old method, you wrote a blog for your website and then created a Facebook post promoting that blog. Now, sometimes the cycle ends there, but a lot of times people pay to boost that post because Facebook has limited the reach that you can get organically on a Facebook post. Boosting a Facebook post means paying for advertising so that people see that post. What happens is you that you hope that somebody reads your post, then needs your help, and then calls you, and the cycle continues over and over again. If you look at the lead flow, how a lead flows through your world as you would call it, what they do is they click on your ad, then they view your blog post, then they leave your website, and then they forget about you. The problem with this type of ad is people don’t go to Facebook to look at your ads. They go there because they’re looking at pictures from their friends and family, to watch cat videos, to get news, etc. What About Three Point Marketing? Not long ago, there used to be something called three-point marketing which meant that somebody needed three touches with your brand before they would trust you enough to hire you. Now, with the internet, that’s moved up to over 20 touches. In short, this method is not good enough because someone is only seeing you one time and you don’t have a way to follow up with them again. You’re hoping that they see your ad, trust you enough to call you, and can call you at that particular time. This could be because they may want to call you, but they also might be at work, or they might be in a position where they can’t call you, and then they leave your website and then forget about you. There’s no reason for them to follow up and there’s no way that they can find you again. How Does The New Method Work So Well? I want to show you the new method that I use for myself and all of my clients. Instead of creating post after post, you create one post of great content, then you pay Facebook to promote that post. 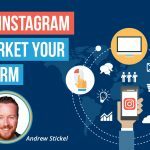 You then capture the email addresses of everyone that views the post and continue to follow up with high-value content until they retain you. Here is the lead flow of this new method. After day one, they start receiving daily emails and further Facebook group posts. As you can see, you’re following up with them over and over again, and just staying in their face. You’re making sure that they know your name and associate your law firm with whatever area of law you practice. A lot of people will say, but I don’t want to spam or send an email every day. Maybe I’ll send an email every third day? I’m telling you do not do that, send an email every single day, this is what I do. 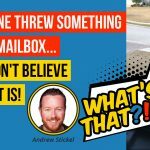 I have the data that people do not perceive it as spam if you do it right and I’m going to show you in secret three how to do it right so that people will not see you as spam, despite the fact that you’re sending them an email every single day. Let’s talk about your great piece of content. First, it should be a cheat sheet that is saved as a pdf file that they have to download and it gets emailed to them. That’s how you capture their email address. I prefer the term cheat sheet as opposed to eBook, but it’s the same thing. I feel that people are kind of burnt out on eBooks and white papers, but I have found that cheat sheet works better because it sounds like a quick and easy thing. The cheat sheet does not have to be long, it should be 500 to 1000 words and should evoke curiosity. Now, a lot of time you can do a listicle because they work well. For example, “Three ways to protect your children from the divorce” or “five ways to file for bankruptcy without losing your house.” The most important thing to remember is that the cheat sheet should be written for normal people, not lawyers. Keep in mind that a lot of lawyers want to write like lawyers, but the majority of the people that are going to be reading your article are normal people, so keep it simple. The other thing is that it should not be a sales pitch, just focus on creating 100% pure value. Here’s some sample topics that I came up with when I was creating these slides. I call this the Pete Rose method. Most people know Pete Rose, the retired major league baseball player. He only hit 160 home runs in his entire career, yet he’s #6 all-time in runs scored, and that’s because he knew he just needed to get on base to score, that’s all he needed to do. If he could get on base, he was in the game, and he had the chance to score. Now, that’s why this method works. With the old method, you’re swinging for home runs, you’re not going for singles. What you’re expecting is to get someone to hire you after the first touch point, and like I said that doesn’t work anymore. With the new method, you’re going for singles by just trying to capture their email address and get them into your world. So, you pay once, and reach them over and over again, completely for free. The other nice part about this is it’s totally automated, and you don’t have to create, post, and boost every day. This is less work and way more effective than the old method. The other thing is that most people are not ready to contact you right away. There’s a lot of times when people want to contact you, but they just can’t for whatever reason, and if they leave your website, you have no way to follow up with them. That’s money that is being wasted. A lot of other people will contact you eventually, but only after you’ve proven your authority and value. For example, a lot of lawyers contact me about marketing, but I email them every single day. Most people don’t contact me after the first email. 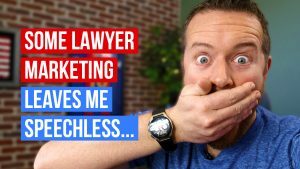 When I talk to somebody a lot of times, they’ve received 20, 30, 40 emails from me, and they’ve consumed a lot of my content and established me as the authority in law firm marketing in their heads. Once I’ve proven my value and that I’m an authority, that’s when they contact me, because that’s when they want to work with me. This is the same method that you can use, and this will work for you, I promise. Does This Method Apply To Certain Practice Areas? There are some industries, such as personal injury and criminal defense, where it’s more of an emergency service. This method has a dual purpose, if the topic is correct, which why topic selection is vital. That’s why I suggest using a how-to/without statement. A how-to/without statement follows the formula of how to and then insert the thing that they want without and then insert the thing that they fear. You can use this type of statement to come up with your topic and also to create the title of your cheat sheet. An example would be for a DUI attorney; “how to beat a DUI charge without losing your driver’s license,” and then the cheat sheet can discuss business purpose only licenses, defenses that you can use, or different ways that they might be able to retain the driver license. If you’re a personal injury attorney, a lot of people don’t necessarily want to go to trial. You can say, “how to cover medical bills and lost wages without going to trial now,” and discuss different ways to settle cases. 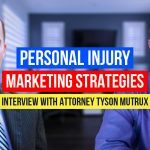 Another way to make this work as a personal injury attorney or a criminal defense lawyer is to target a specific niche. For example, personal injury attorneys can target construction workers, motorcycle riders, or people with parents in nursing homes. We even have one client who targeted parents with children who’ve been injured on playground accidents. Anything that you can profile is the type of people to target. Criminal defense lawyers can target college students, targeting DUIs, second amendment proponents, etc. Here is the secret, you don’t do the work. The first thing you’re going to do is hire a VA from the Philippines. Now, to do this, you’re going to go to upwork.com and create an account and an ad. You can also go to freelancer.com. Now there’s a common misconception that low rates equal low quality and that is absolutely not true. I have probably about 30 people that work for me from overseas and they all do a great job because I followed this method. What I do is I hire three people for every task. I give a simple task just as a test, and then I keep the ones that do a good job and fire the ones that don’t. It’s just simple as that. There’s great people that work in the Philippines and there’s also bad people that are bad workers. Just like in the United States, there’s great employees in the United States, and there’s people that are horrible employees in the United States. It’s the same thing, people are people, but if you go to the Philippines, they do a great job in my experience, and their rates are a lot cheaper. Now, when you hire somebody, make sure that they know how to use clickfunnels, which is the landing page software that you’re going to use. They also need to learn active campaign, which is the email software you’re going to use. You’re going to also hire a freelance writer because there’s a lot of content that is going to be written and you don’t want to have to write that content yourself. I typically pay three cents to 10 cents per word for my writers and there’s a lot of different places you can find writers. M personal favorite is Facebook because there’s a lot of freelance and writer copy groups. You can also find a law student, or go to craigslist and put an ad out for a writer. First, you’re going to have your writer create your cheat sheet. Then while the writer’s creating the cheat sheet, you’re going to record 10 more videos that are related to your cheat sheet. Now, don’t freak out, these videos are not complicated. First of all, you don’t need a fancy camera, you’re just going to use your phone. The purpose of these videos is that you’re going to use them in your email campaign in your follow-up sequence that you’ll send every day. You’re going to send an email that has three or four of lines of text introducing a video, saying “hey, watch this video where I discuss x, y, and z .” This video is going to be related to a problem that they have or something that’s going to provide them value that’s related to the cheat sheet, which is the reason that they opted into your email list in the first place. Each video should only be two to three minutes long. If you need topics, consider questions that clients ask when they meet with you. Each one of those questions can be a different video. Another thing is story, any story that you can think of, whether it’s your client, whether it happened to someone else, whether it’s just an anecdotal story, if it’s related to your cheat sheet that’s another video as well. All of this stuff provides value and will establish you as an authority and every day they’re going to get another video. Now, I say 10 plus videos because I think 10 is the minimum, but if you do more than 10 videos, you’re going to get better results. If you can do more than 10 videos, it will definitely work for you and again, this will not take long, each video’s only two to three minutes long. First of all, again, remember you’re not talking to lawyers, you’re talking to regular people. Don’t obsess about making the videos perfect, instead obsess about making the videos as high value as possible. Focus on making great content that is useful for the people that are watching these videos in your email sequence. Be sure to hold the phone sideways, not vertically. Also, use a tripod if you can. You can get a phone tripod on Amazon for about $8. Now, here’s the most important thing, and I cannot stress this enough, do not pitch or sell anything at all. This is the difference between a high-value email, becoming an authority, and being seen as spam. All you have to do is provide value as an attorney. In short, when they’re ready for an attorney, they will call you, I promise. It’s because you’re establishing yourself as an authority and when you establish yourself as an authority, they know that’s what you do, and in their eyes, you’re the only person they should call. Do not pitch, do not sell, this is the most important thing to take away. Once you’re finished with the video, you’re going to upload the videos to YouTube, and you can do this directly from your phone using the YouTube app. You’re going to send the URLs to the writer, who will create a short teaser email to introduce each video. The email should only be three to four sentences long and should not give away all of the secrets in the video. You want people to want to watch the video after reading the email because you want them to see your face and hear you talking and establish you as the authority. You’re going to have the writer’s write a short YouTube description for every single video. This should only be about 300 words long. You’re also going to have them write a blog post for each video. Once the writer finishes the content, they’re going to send the contents to the virtual assistant. The virtual assistant is then going to build the email campaign. Be sure that they create an email automation that’s going to send everyone on your list an email every single day. Do not do every other day, do not do every third day, do every day. Trust me this is the way to do it. People will not get mad if the content is of value and does not pitch them anything. Trust me, I do this all the time, and no one has ever complained. You’re also going to have the virtual assistant create your landing page. Now, your landing page should be built using clickfunnels. The reason you should use clickfunnels is because it’s the best landing page software out there. It’s the easiest to use and in my experience, is the most stable. Now, click funnels is $99, but you get what you pay for. 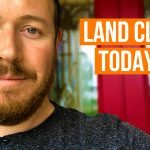 I have a free template that I use for all of my landing pages for myself and my clients, and you can download this for free for clickfunnels. Just go to bit.ly/lawyerlander to get my template for free. Now, all you have to do is create one Facebook post promoting your great piece of content. 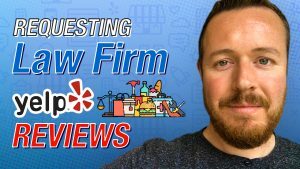 I created a video on YouTube and it’s called the 8 Essential Elements of a Law Firm Facebook Video Ad. In this video, I will tell you exactly how to create a video promoting your great piece of content, and this isn’t 100% necessary, but for best results, I suggest you follow these steps because they cover the basics of advertising and psychology. Once you have your post created, pay Facebook to promote the post. 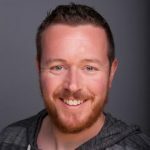 I also created a free Facebook marketing course available at fbguide.eloa.org, and I’ll ship that to you on a USB drive. Once this entire system is set up, the entire thing runs on complete autopilot, you don’t have to do anything. All you do is let your ads run, let people go to your landing page, download your cheat sheet, enter your email automation, and then they see you over and over again. It’s an awesome system. I know that many people are concerned with emailing people every day. Well, I’m going to tell you something, I email everyone on my email list every single day, and I have an extremely low unsubscribe rate. I’ve never had a single complaint of anybody telling me to stop spamming them or stop sending them emails, in fact I get emails all the time about all the great content that I’m putting out, and people that want to hire me to handle their marketing. So, I know that this works. That’s why emailing everyone every single day is extremely important. Now, the other thing is that it’s going to be relevant to them. You’re creating content for people that have opted in to see content that you already know is relevant to them. If every time they see an email, they know that it’s going to be information that is useful to them, and they will not view it as spam. If you start selling and start pitching, they will view it as spam. So, do not do that. As I said, they know you’re an attorney, they know they can hire you, and when they’re ready, they’ll call you. Do not pitch, do not sell, just create value. The other interesting part about this is that no one I talk to ever actually realizes that I email them every day and the reason is, is because I get a 20%-30% open rate on all my emails, which is pretty good considering the industry standard. Here’s the interesting part, it’s different people every day that are included on my 20%-30%. That’s why I say, email every single day, because if you don’t, then you’re spacing out that amount of time. For example, if you email once every three days, the person only opens every third email of yours. Then, you’re only reaching them once every nine days, whereas if they open every third email and you email them every day, you’re reaching them every three days…that’s a much better rate. I’ve got a bonus secret for you. The secret is that it only takes five minutes per day to grow this system and keep it running smoothly. I know this because this is the exact method that I use for myself, and it only takes me five days to grow this system. Every single day, I record another two to three-minute video on my iPhone. I upload that video to YouTube, and I share it with my Facebook group. If you join, you can see exactly what I do. It’s very simple. I pull out my phone and I talk and it’s two to three minutes and that’s all I do, and it works really well. Another benefit of creating daily YouTube videos is that this makes the videos eligible to show up in Google search results. If you didn’t know, YouTube is the number two search engine right behind Google. This also ensures that your website is constantly growing and you’re getting never ending visibility because you’re reaching all these people in all these different places. So, how do I do it? The secret to doing this everyday is having a list of video topics that you can always rely on. So, what I did is, I pulled out a piece of paper one day, I sat down for 20 minutes, and I wrote down every question that I could think of that clients ask me, every issue related to law firm marketing that I could think of, and every law firm marketing story that I could think of. Now, I have this list available at all times. I keep this list around all the time, that way when I’m going to record a video, I don’t have to stress out about what I’m going to talk about that day. What typically happens is something will happen throughout the day that will give me some sort of inspiration, and I’ll think, “oh wow, that’s a great topic.” Then, I pull out my phone, I talk for two to three minutes, and then there is my video, I don’t even touch the list. The list is there just as a backup because as you go throughout your day, new things are going to happen that are going to inspire you to pull out your phone and record a video. The list comes in handy because all I have to do is look at the next topic on the list, pull out my phone, record a video and I’m done. The list removes all of the stress of not knowing what to talk about. The easiest way for you to build a list is to go to your website, look at every practice area, write down five frequently asked questions about each practice area, then write down three to four stories that have happened to either a client of yours, or you’ve heard of from other clients or from other attorneys and mark them down as well. This way you always have a list of topics that you can fall back on. This is extremely important, do not skip this step, because if you have to spend too much time wondering what you’re going to talk about, you won’t do this. The other important thing is that you find a convenient time to film. Many people spend a lot of time in the car so, I started filming videos in my car. I don’t film all of my videos in my car, but there’s a lot of times when I film videos in my car. On the left, you can see a phone holder that clips to your air vent and when I’m stopped, I set the camera up, I turn it sideways, I hit record, and then I talk for a little while and I’m able to record two or three videos every time I’m driving, just by talking. 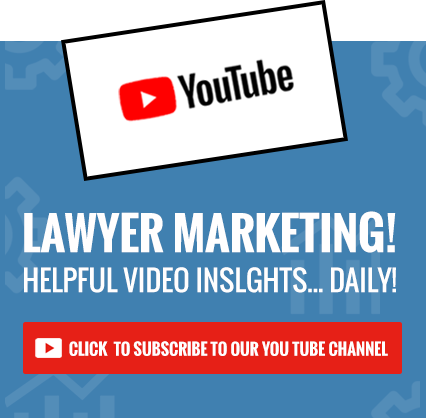 You don’t have to get these videos perfect, but you can provide a lot of value just by talking and giving information while you’re driving to the courthouse or while you’re driving to and from work. It only takes two or three minutes to do this, and I found that it’s extremely easy if you have a list of topics standing by, and you find convenient times to film. While you might be feeling a little overwhelmed, I would like to help you with a free 15-minute strategy session. Just go to bit.ly/stickel-calendar and select a time that works for you. This links directly to my calendar, so we can set up a time where I can talk to you. We can talk about how to implement this strategy for your law firm, content ideas, what the best topic for your cheat sheet should be, etc.